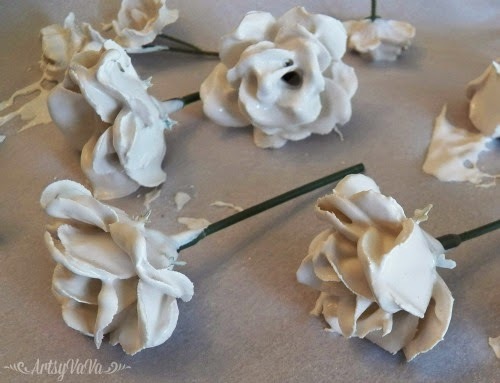 Have you made Plaster Of Paris flowers yet? Well, if not, be prepared (when you do make them) to want to put them on everything! 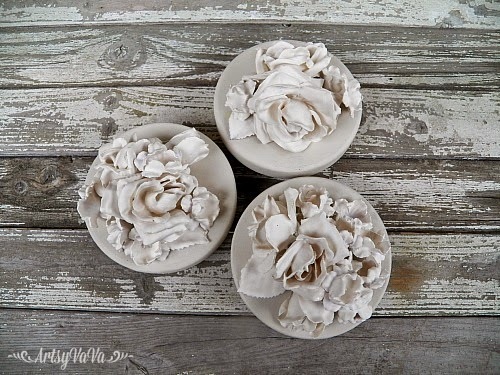 When you look at everyday items, you will wonder, "how would that look if I add a few flowers?" 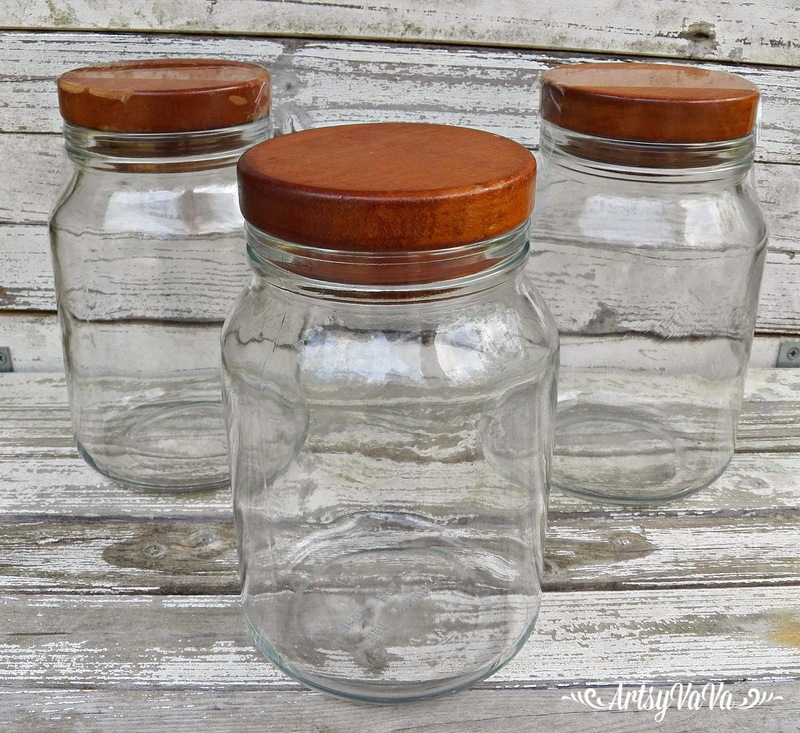 So, when I saw these jars at the thrift store, I grabbed them knowing that they were crying out for flowers! I gave it a little shake and let the excess drip off. I laid the flowers on wax paper to harden. 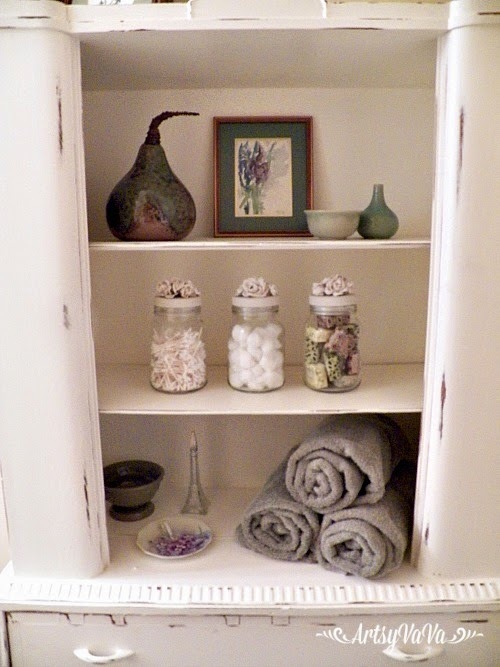 While the flowers were drying, I painted the wooden top of the jars with chalk paint. 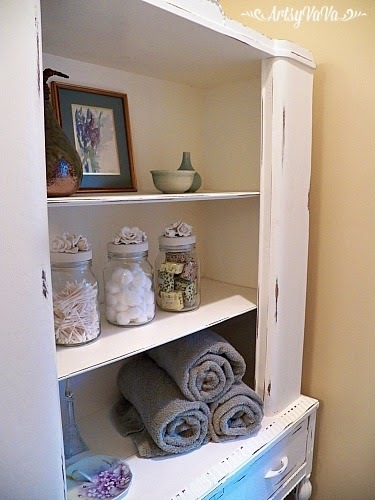 I used Dixie Belle paint in the color, Drop Cloth. Drop Cloth is the same color as the plaster so I didn't have to paint the flowers to match. 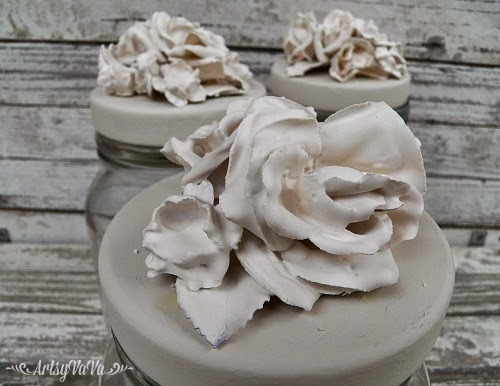 Then I glued the flowers onto the jar lids using E6000. 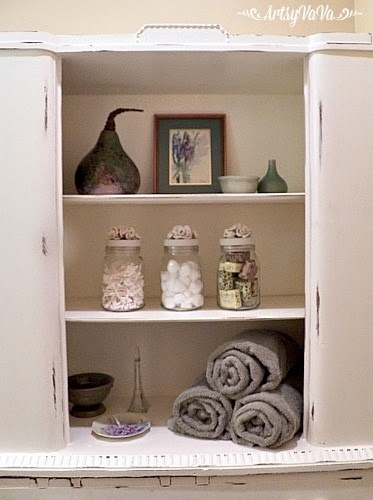 For now, my pretty jars will have a home in the guest bathroom. But, I may have to move them to my bathroom so I can enjoy them everyday! Love the look .. But, aren't they hard to clean. I'm talking "dust". You can clean them with the dust remover that spray air just like you clean your computer keyboard. Hey Artsy! I love this project! It has been around a long time! 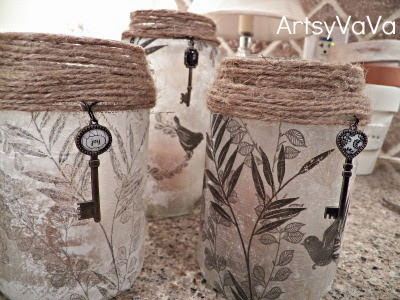 Thank you for bringing it back to life with your beautiful jars! 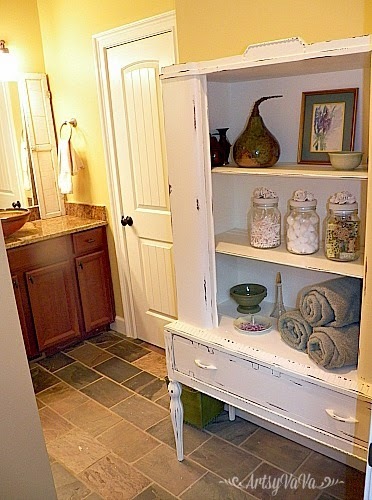 I love the cabinet and the guest bathroom decor! But I'm like you, I think I'd like to look at them more often! Blessings from Bama! Oh my goodness! What an awesome idea! I love, love, love it. Now this is something I must try. Thanks for the inspiration. This is fantastic! Thank you it gives me a great way to add interest to a ceiling. 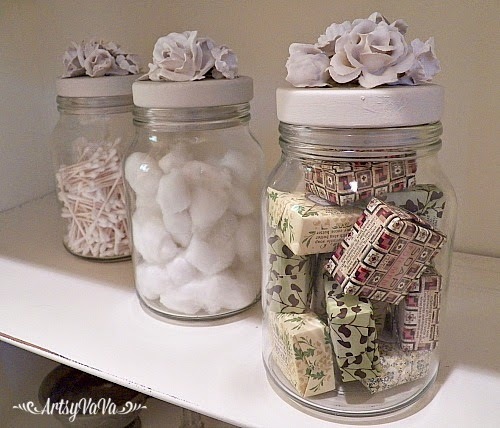 Great idea to add pizzazz to ...anything! 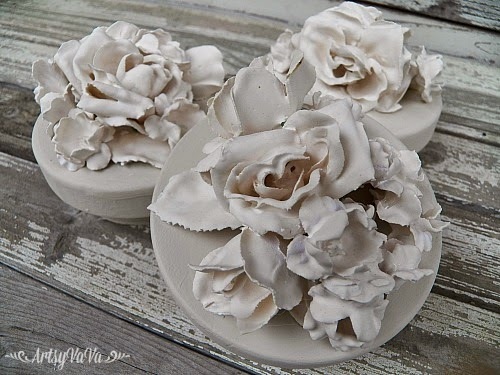 My mom has some Royal Dalton Bone China flowers and these remind me of those! 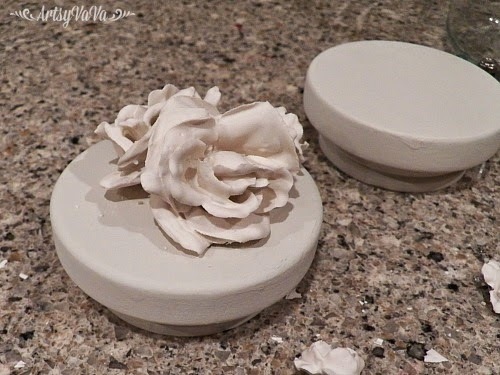 I haven't worked with Plaster of Paris before did it provide a thick sturdy coat or as the original flower fabric was flexible would they be somewhat fragile and need gentle handling on the lid top? Wow! I love these so much, great idea! Oh wow, I love these! What a great idea. 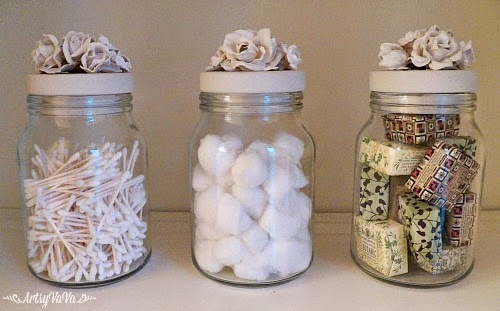 My mind is loaded with ideas on how I could incorporate these into my daughter's DIY wedding next summer. So pretty! How fun! I am going to have to try this because they are so pretty! So pretty! I love this idea Virginia. I am going to have to make some! Thanks for sharing with SYC. These are lovely. I haven't tried this yet, but now it's on my to make list. 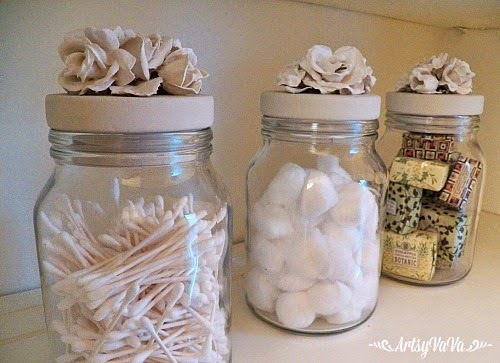 I love them on top of the jars and how you're using them. So pretty! Love these! 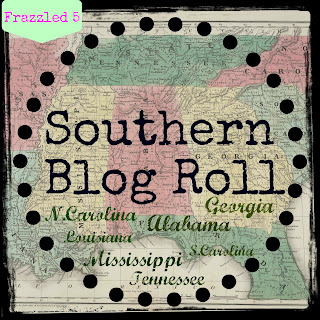 Thank you for sharing with us on Brag About It! Thank you so much for your wonderful creativity at The Inspiration Board link party. Your project was featured today! Found these via Pinterest. Have to say they came out quite nice. Elegant. beautiful roses. 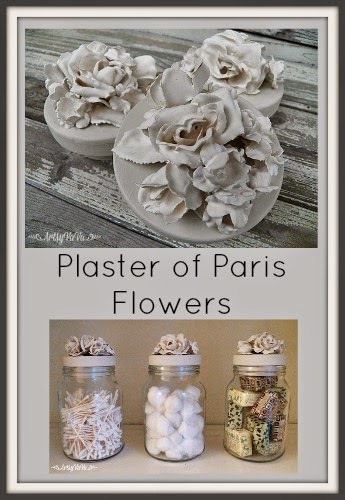 Where can I buy this plaster of Paris? Thank you so much for your tutorial, right now just finished my version of this project, thanks to you. I love these! Thank you for the tutorial. I'm going to have to make some for photography props. 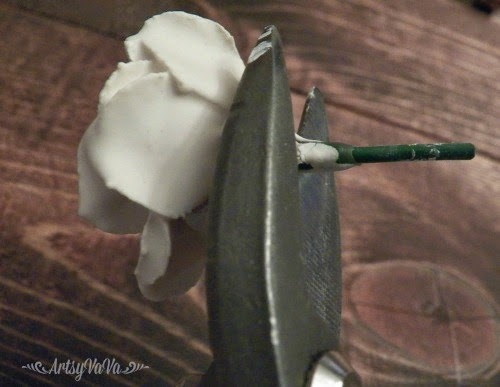 U can add a little bit of white glue to the mix...it will prevent the plaster of paris from chipping. would spraying with a clear sealer help them from not chipping? Love these. AWESOME. would it be possible to color the plaster of paris? 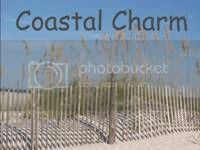 Will definitely incorporate in my shabby chic décor! I saw a mirror that was decorated with plastered flowers. It was beautiful. 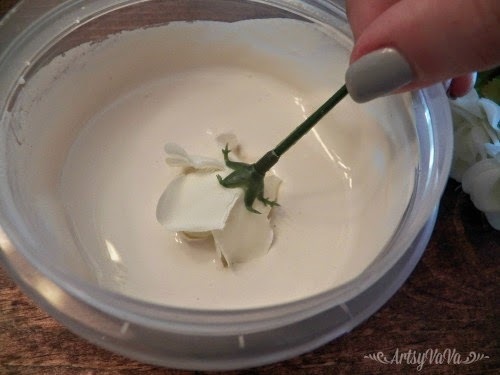 Hi I'd like to try this but where can I buy plaster of Paris and do it come already mixed since it looks like you dipped you flowers in a can much like the paint cans. I'll be looking for your reply. Thank you. Emma, you can purchase plaster of Paris at the hardware store or your local hobby and craft store. t comes in powder form and and has easy direction on the box or bag it comes in. You can experiment and make it as thick or thin as you would like for any project. 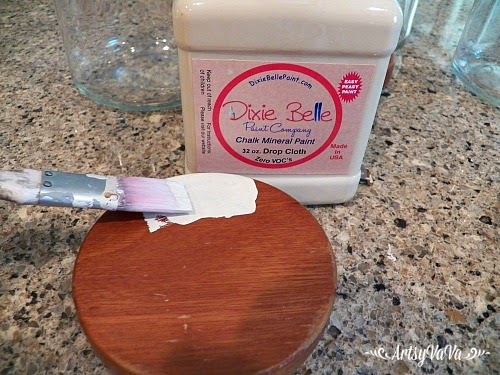 You can also make your own chalk paint with it with any of the many direction on line. Good luck and have fun. I know I can't wait to get started. OMG! I love these flowers. 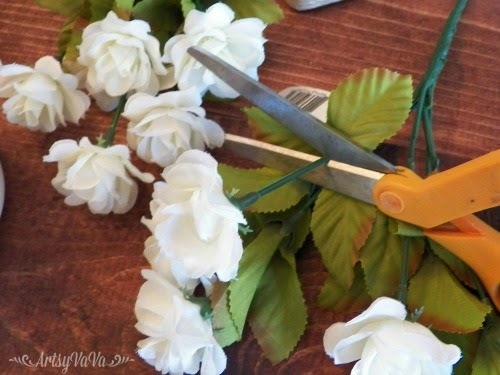 I have already scoped out a few projects to appliy the flowers to. Now I just have to brave the 50 to 60 MPH cold winds and make it to Hobby Lobby to get flowers and plaster of paris. We are supposed to be holed in for the weekend. Believe it or not ice and possible snow in TX. So, I think I have a new craft to make me happy I am indoors for the duration. Thanks so much for this wonderful idea. 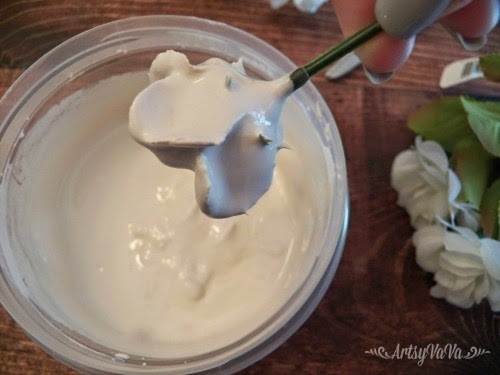 Could you use dry powdered paint for dying the plaster or the powdered dye in the Easter Egg kits? I always buy several of those after Easter to make dye for other projects. I cannot wait to get started. Thanks again for reminding us of this lovely craft. I can't wait. Unas rosas bellísimas y elegantes !!!!!!!!!! !